If you fancy an iPod dock that is a little bit different than the standard ones about, then check out the Transformers iPod Dock. Honk your horns and blast your music! 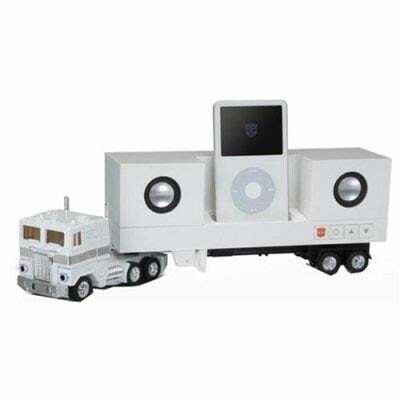 This new Convoy is rolling into town with a licensed Apple Computer Inc. iPod speaker system that docks with your iPod. Sorry, the iPod Shuffle is not compatible with this system. 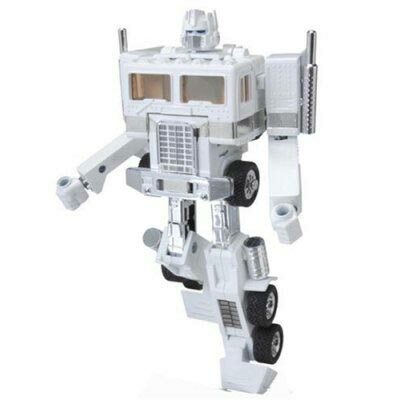 The convoy is the same size as the G1 Convoy but features a new stylish head mold unique to the Music Label series. The transformers iPod dock is available to buy online for $149.95 from Amazon.